This morning we tackled the weeds that were engulfing the hedge that runs alongside the adventure playground. A section had been weeded before and this had had a huge impact on the hedge which is now very bushy and healthy. 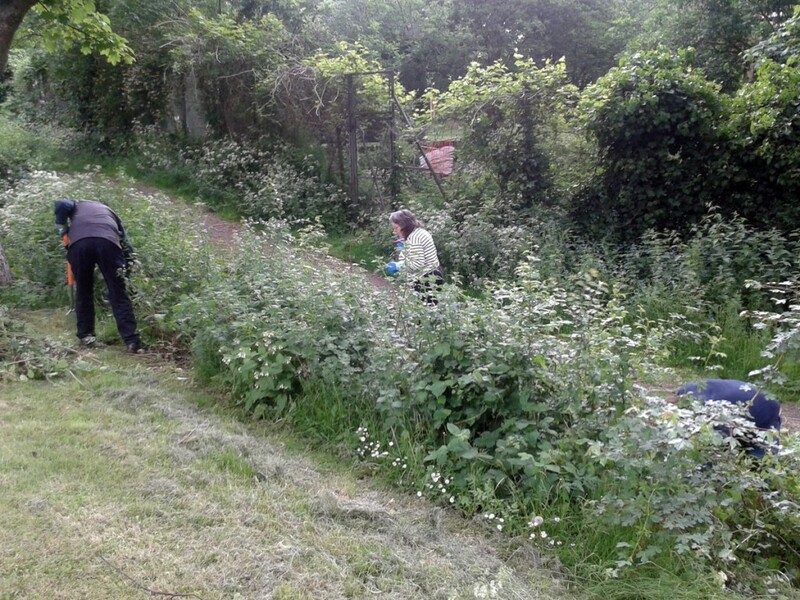 The area we weeded today was being smothered mainly by cow parsley but also there were nettles, brambles and blue alkanet that had grown so dense that the hedge whips were struggling to find room to grow. Five of us spent an hour or two weeding it by hand and we had help from Maureen who went to the local library and bought us back some council garden waste recycling bags. We filled about 10 of these bags plus two giant compost wheelie bins. We were pretty exhausted by the end of it and although there was probably more that we could have done, we had a good go. Hopefully the hedge will now bush out a bit and therefore crowd out the light so that the weeds themselves struggle to grow there. Many thanks to all who came.